Makeup and beauty !!! : Fourth Year Anniversary Giveaway of Makeup and beauty ! Fourth Year Anniversary Giveaway of Makeup and beauty ! To thanking you all , here I am hosting a small giveaway for you. Leave your preferences of 2-3 product name from colour pop cosmetics. Spread the word on your Facebook social media by tagging your friends along with tag @makeupandbeauty by posting the picture of this Giveaway so that I can check. Leave the comment below of the shared link of facebook too (you can do it daily or one time that depends on your preference ;) ). Tweet and tag @SamannitaModak too on twitter. Tweet the following: "Makeup and beauty !!! : Fourth Anniversary Giveaway of Makeup and beauty ! : http://www.makeupandbeautty.com/2016/06/fourth-anniversary-giveaway-of-makeup.html#.V2jCknD16PQ.twitter" And shared the link of the tweet too (you can do it daily or one time that depends on your preference ;) ). The giveaway is hosted just for pure fun.It will start from (today) 20th June and will be hosted till 19th July. Winners will be declared after within two weeks of verification of each and every account. Any unfollow on social media (which I can track now ;)) after giveaway will ban the person to enter all the future giveaways/contests. The winner will be chosen depending on the lucky draw and it is definitely a non-bias way of choosing. The winner will receive the goodies within one month of winning depending on the product availability else might have to wait a bit. Loads of giveaway/contest are on its way so if you win don't be disheartened. Many Many congratulations for completing 4 years.. wow..
Hey Congo fr completing 4yrs. Thanks fr coming up with new ideas of makeup. preferred product will be colour pop lippies. colourpop matte lipstick and matte liquid lipstick. hope m done fingers crossed. wish toh win some thing. Just came across your blog via roposo. Loved it. I love Colourpop ultra matte lip and Lippie pencil. They r just bomb. Wish to win this as I love colourpop cosmetics and they r hard to find in India. Thank u for the amazing Giveaway. big congratulations on completion successful 4 years.wish you many more to come. :) Thanks for hosting dis super giveaway for ur followers. I just love Colorpop products . 1.ColourPop Rex Super Shock Eyeshadow. Hi Samannita! You got a lovely name! I'm new at your blog and I'm loving it. https://twitter.com/LeenaPrincy/status/746277513446338560 https://www.facebook.com/MakeupAndBeautyTheWayIFeelIt/photos/a.527010947330110.120492.461377210560151/1211980035499861/?type=3&pnref=story FB: Leena Prince Chawla, Twitter: LeenaPrincy, Instagram: LeenaPrincy, G+ and Gmail: LeenaPrincy. I like Colourpop-Ultra-Liquid-Lipstick-Beeper and Colourpop Lippie Pencil (Oh Snap).. Thanks for conducting this giveaway! ColourPop Ultra Matte in the shade Tulle and Colourpop UltraSatin in the shade Rabbit. Many Many Congratulations dear.... God Bless You..!! Thanku For the Awesome giveaway.. I would love to win this giveaway.. 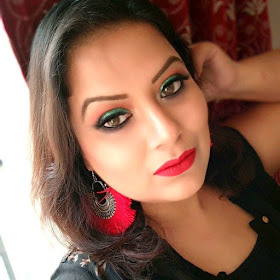 I like colourpop ultra matte lip..love lippies nd colourpop eyeshadows in the shade truth..